Janhvi Kapoor received wide acceptance from audiences and critics alike, and marked an impressive beginning to her Bollywood journey. Her debut with Shashank Khaitan’s Dhadak, co-starring Ishaan Khattar, worked like a charm on box-office and audiences’ heart. Within a short period of time, the actor became the paparazzi’s one of the favourite faces. Be it outside her gym or a casual outing, shutterbugs never leave her alone. Her pictures and videos are a drooling treat for her fans. However, the Dhadak star herself is inspired by a Bollywood diva, and Janhvi recently revealed her name. She said Anushka Sharma inspires her and called her very dignified. 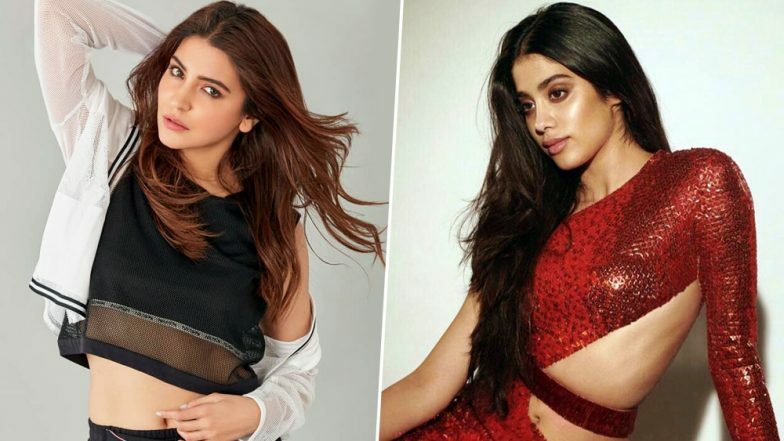 Janhvi Kapoor Is in Complete Awe of Anushka Sharma, Here’s Why. Well, Janhvi, you are absolutely right and Anushka does carry her poised self in the most dignified manner. The Zero star has proved herself to be a versatile actor, brilliant producer and fine businesswoman. Her social and media presence has always been on point. Varun Dhawan, Sidharth Malhotra, Sushant Singh Rajput - Who Should Janhvi Kapoor Romance Next? On the work front, Janhvi will soon be seen in Gunjan Saxena’s biopic and Karan Johar’s Takht. The shooting for Gunjan Saxena biopic has already commenced. Gunjan was Indian Air Force’s first female combat pilot who played a major role in the Kargil War in 1999. She also became the first woman to be awarded the Shaurya Chakra.